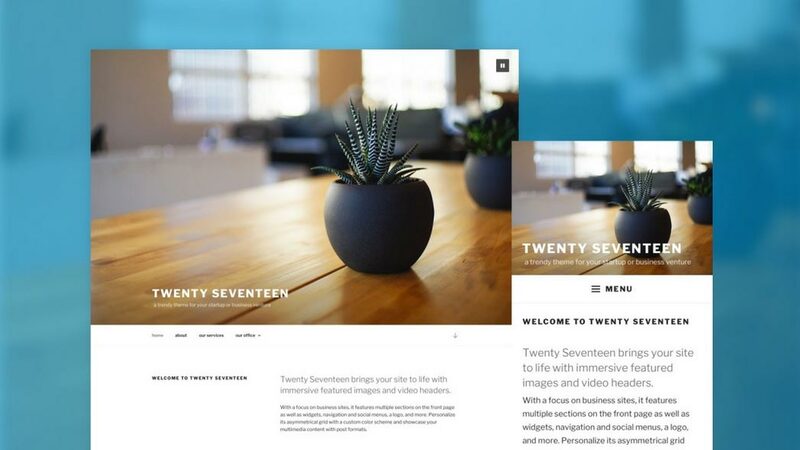 Let’s take a look at what the best WordPress themes will look like. We reveal the best free WordPress themes to save you time and effort, which are useful for creating business websites, blogs, portfolio sites, E-commerce shopping and more. Looking forward to 2015, it’s time to start looking ahead. 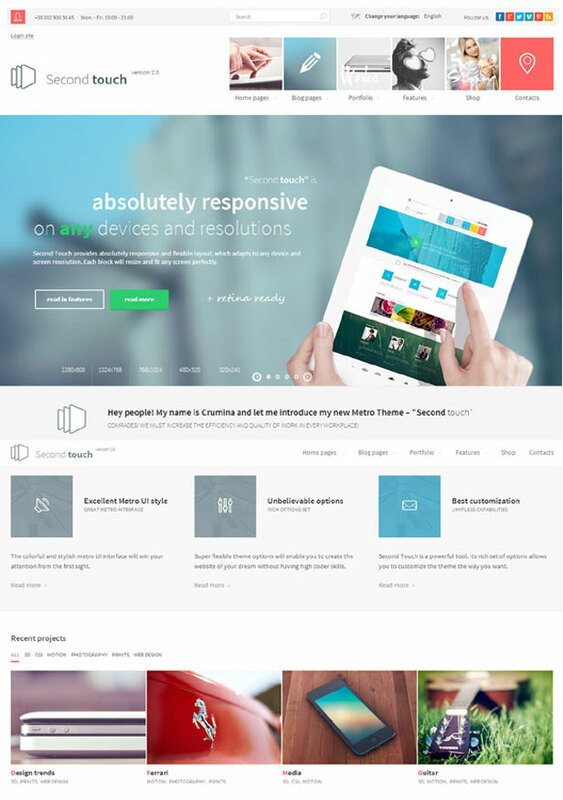 What will be the best WordPress themes for latest web design trends for next year 2015? WordPress is one of the most popular content management systems (CMS) around and, it’s a free, powerful blogging, which can be used for a variety of business and personal uses. WordPress makes it easier for developers to create and test new features. If you’re looking for a new company blog, or setting up a new website, WordPress may just be your new digital platform. We’ve selected the very best WordPress themes from across the web. These 5 themes are clean, responsive and creative that will help you to design your websites or blogs with beautiful and visually stunning. We have used the themes for our clients, very easy to use and modify, great service. All themes feature search engine friendly, custom homepage settings, custom background support, and multiple page templates. NAMO is a clean and creative wordpress theme that is stylishly multi-purpose and super responsive. With a modern spacious design, crisp typography and powerful suite of features Namo is ideal for creatives and corporates alike. Namo comes with a Custom Built BE Page Builder, that makes you love this theme. Simply Drag & Drop Sections / Rows / Columns and with over 30 inbuilt modules you can literally build any layout you want in just a few minutes. Over 20 Portfolio styles with 10 in-built single portfolio styles, Namo offers you more ways to present your work than any other theme. Namo is finely integrated with Woo Commerce and the shop pages have been carefully designed to help you setup a stylish modern shop. Apart from Woocommerce support, Namo has been localized and ready for translation and has been tested for compatibility with the popular WPML plugin. Namo theme is 100% Retina Ready, Yoast SEO, Revolution slider, Built-in Google fonts and all WordPress Standard other plugins. Brooklyn, a truly one page parallax WordPress theme with more than one face. No matter if you use it as a photographer, travel / web design agency, nonprofit / environmental organization or even as a music / video producer. You can easily turn it into your personal website. A Creative One-page, Multi-purpose WordPress Theme, excellent way to deliver a great user experience. This creative way to express web content leaves out the stress of being bombarded by too much information. And yet, it makes your website clean as well as attractive. Brooklyn have set up 7 demos to demonstrate how powerful Brooklyn really is. Each demo looks unique but has been made with the same amazing simple system. You don’t have to decide which of these layouts you like, be creative and start building your own versio. Brooklyn theme is 100% Retina Ready, Yoast SEO, Revolution slider, Built-in Google fonts and all WordPress Standard other plugins. Barberry is a Minimal, Modern Fully Responsive Retina Ready that fully supports Woocommerceplugin, the theme is based on Twitter Bootstrap framework. The Minimal design allows your images to tell the story and stand out from the page. 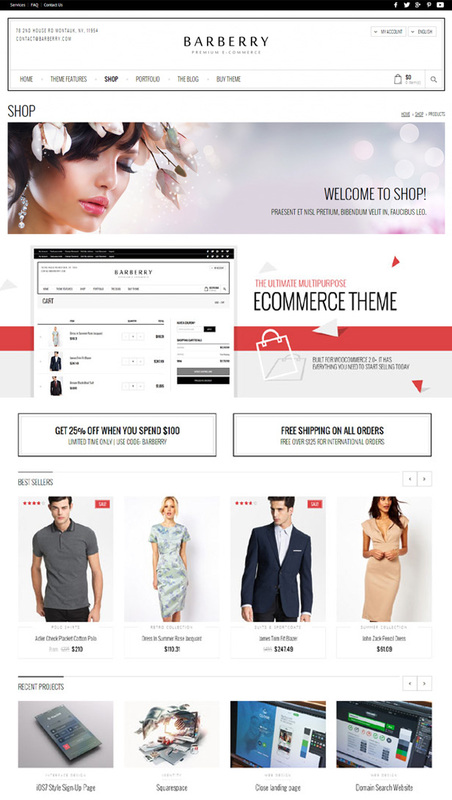 Start your Store right away with Barberry theme. Fully functional with WPML plugin. Barrbery theme comes with pre defined page layouts and custom pages allowing your own unique site design and page layouts. With Advanced Theme Options Panel, you can customize just about any part of your site quickly and easily. Barberry theme is 100% Retina Ready, Yoast SEO, Revolution slider, Built-in Google fonts and all WordPress Standard other plugins. Second Touch is provided with 6 incredible pre-built layouts, which can be easily customized and fully transformed to your own taste. The great customization options of the theme give space to your imagination and creativity. And more than 1300 icons included to the theme will be relevant to any website type and will become excellent decoration of it. 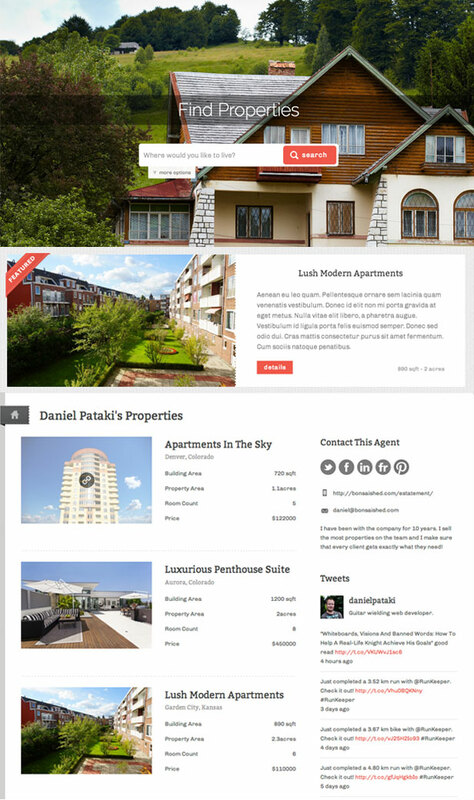 Estatement is an extremely flexible theme for managing real estate properties. It gives you powerful options for displaying your properties and communicating with potential buyers. The full page search and map based search lets users search your catalog and gives you the power to add any built in or custom property detail as a search field. With numerous shortcodes give you the ability to add tabbed sections, property lists, customizable sliders, messages, buttons and more into any post content! The custom widgets allow you to add property lists, contact information and more to any sidebar. Powerful contact options include customizable auto-responders to prospective buyers. Contact details (and auto-responder text) can be set globally or for each property individually in case you work with multiple agents. Marbella WordPress Design, Search Engine Optimization Specialist, Social Media Marketer, and Professional Blogger. I am passionate about anything which relates to SEO, Social Media, Web Design, and Mobile.